SD Websolutions is a professional Graphic Design Service company based in Bareilly that offers creative graphic design solution by using the combination of art and technology. We have the skill and experience to turn your ideas into design, detail by detail. 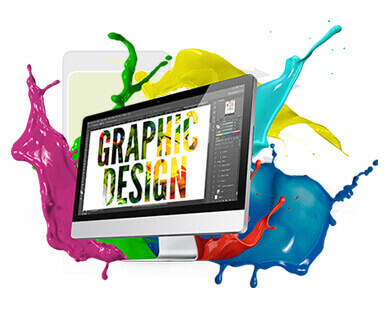 Our Graphic designing services department creates a professional piece of art for any type of job you need and also build a positive brand image for your business that helps you to attract new consumers. In the eyes of your customers, consistency is an important factor that is directly impacted by graphic design services. This is often an elusive challenge that Artwork Abode can help you overcome — for example, by choosing consistent font sizes, colors and design attributes that keep the "look and feel" of your products and services one step (or more) ahead of the competition. Below you will find more details about how we can save you time and money while also improving the effectiveness of your graphic design services.